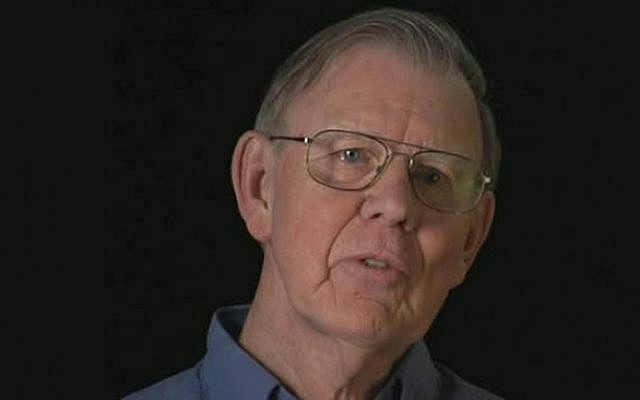 Professor David S. Wyman, author of The Abandonment of the Jews, the groundbreaking and definitive study of America’s response to the Holocaust, passed away on March 14, in his home in Amherst, Massachusetts, after a lengthy illness. He was 89. A private memorial ceremony will be held by his family. A public event commemorating Prof. Wyman’s life and legacy will be held by the David S. Wyman Institute for Holocaust Studies, in New York City, at a date to be announced. The refugees were left stranded and starving along the Ethiopian-Sudanese border in early 1985, when an Israeli airlift operation was interrupted. Jewish activists, together with Congressman John Miller, gave copies of The Abandonment of the Jews to Vice President George H.W. Bush and his aides, pleading with them to “do now what we didn’t do then.” As a result, the U.S. sent a fleet of C-130 Hercules transport planes to rescue the refugees and bring them to Israel. The David S. Wyman Institute for Holocaust Studies, a research and education institute based in Washington, D.C. and chaired by the noted businessman and philanthropist Sigmund A. Rolat, was established by Prof. Wyman’s colleagues in 2003. The Institute carries on the legacy of Prof. Wyman’s scholarship, through educational programs, research, and publications focusing on the history of America’s response to the Holocaust and the important moral lessons to be learned from it. David S. Wyman, the grandson of two Protestant ministers, was born in Weymouth, Massachusetts, in 1929, and raised in Auburndale, Massachusetts. He graduated from Boston University with a bachelor’s degree in history, and from Harvard University with a Ph.D. in history. From 1966 until his retirement in 1991, Prof. Wyman taught at the University of Massachusetts, Amherst, where he was the Josiah E. DuBois, Jr. Professor of History and twice served as chairman of the Judaic studies program. 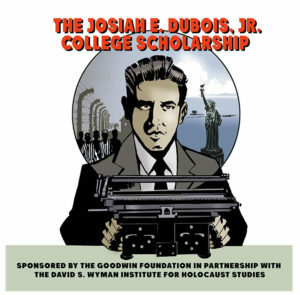 DuBois was a Treasury Department official who, in 1943, played a key role in exposing the State Department’s sabotage of opportunities to rescue Jews from the Nazis. When the university honored Prof. Wyman by allowing him to select the name of his professorship, he chose Josiah DuBois. Prof. Wyman’s first book was the critically-acclaimed Paper Walls: America and the Refugee Crisis, 1938-1941 (University of Massachusetts Press, 1968). He spent the next fifteen years researching and writing the sequel, The Abandonment of the Jews: America and the Holocaust 1941-1945 (Pantheon, 1984). Prior to the publication of The Abandonment of the Jews, the widespread assumption among the American public was that there was little or nothing the Roosevelt administration could have done to save Jews from the Holocaust. Prof. Wyman’s meticulous research demonstrated that there were, in fact, many ways the U.S. could have aided European Jewish refugees, without interfering with the war effort or undermining America’s immigration laws. He documented how President Franklin D. Roosevelt and his State Department suppressed news about the Holocaust and ignored opportunities to rescue refugees. The Abandonment of the Jews quickly rose to the New York Times best-seller list, and reviewers were nearly unanimous in their acclaim. “We will not see a better book on this subject in our lifetime,” Prof. Leonard Dinnerstein concluded. Prof. Hasia Diner wrote that Abandonment “systematically demolishes often repeated excuses for inaction.” Thirty-four years later, The Abandonment of the Jews is still the gold standard in its field. The Abandonment of the Jews won the Bernath Prize of the Society for Historians of American Foreign Relations, the Saloutos Award of the Immigration History Society, the Ansfield-Wolf Award, and the National Jewish Book Award, among other accolades. It went through seven hardcover printings and multiple paperback editions, as well as editions in German, French, Hebrew, and Polish, selling a total of more than 150,000 copies worldwide. During the decade following the book’s publication, Prof. Wyman was a featured guest on numerous major radio and television shows, including Nightline with Ted Koppel, the Today Show with Jane Pauley, and the Larry King Show. He delivered more than 400 lectures to synagogues, churches, civic organizations, and educational institutions, and even those represented only the fraction of the invitations that his teaching load enabled him to accept. In his lectures, Prof. Wyman often would unfurl, accordion-like, the four foot-long government form that a would-be immigrant was required to fill out in order to be considered for a visa to enter the United States in the 1930s and 1940s. Vice President Bush subsequently sent Prof. Wyman a handwritten note of thanks for inspiring the rescue mission. The note is proudly displayed in the Wyman family home in Massachusetts. During a visit to Israel in 1988, Prof. Wyman’s hosts took him to an orphanage to meet some of the children who had been rescued in the airlift; he described it as one of the most moving experiences in his life. In 2008, Prof. Wyman visited an Israeli air force base, together with Dr. Rebecca Kook, Astra Temko, and Nili Kook, the daughters and widow, respectively, of Holocaust rescue activist Hillel Kook (Peter Bergson). There they met Major-General Amir Eshel, who was involved in the 1985 airlift operation, and Moshe Gadaf and Ami Farradah, who, as eight year-olds, were among the Ethiopian Jewish children who were rescued. The poignant ‘reunion’ of the former child refugees, the Israeli general who helped save them, and the American historian whose book made the rescue possible, was truly unforgettable. Prof. Wyman was also the coauthor, with Rafael Medoff, of A Race Against Death: Peter Bergson, America, and the Holocaust (The New Press, 2000); editor of America and the Holocaust (thirteen volumes of the documents used in The Abandonment of the Jews, published by Garland in 1990); and editor of The World Reacts to the Holocaust (Johns Hopkins University Press, 1996). Most recently, he contributed a chapter to Dr. Medoff’s 2018 book, Too Little and Almost Too Late: The War Refugee Board and America’s Response to the Holocaust. Prof. Wyman’s wife, Midge, who assisted him in his scholarly work, passed away in 2003. The Wyman Institute joins with their children, Teresa and Jim, and the other members of their family, in mourning his passing.